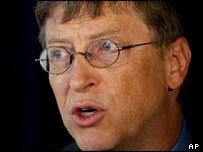 Microsoft told a California court that consumers could suffer if it has to pay the full $258m (£146.7m) bill. Microsoft made its objections to the judge in San Francisco Superior County Court. It eventually settled the 5-year old class action law suit by agreeing to a system of compensation vouchers for 13 million California consumers. The value of any unclaimed vouchers was to be paid to California state schools. Mr Crew has billed Microsoft just over $3,000 an hour for his own work, as well as more than $2,000 an hour for other lawyers on his team. "I'm proud of what we did. I am certainly not ashamed of it, and I believe that we deserve it," Mr Crew told ABC News. He argued that the lawyers took a big risk to sue Microsoft with no guarantee of reward. The scale of Microsoft's recent legal settlements has eaten into its profits recently. It blamed legal costs for the 38% drop in profits for the three months to March 2004, to $1.32bn. Microsoft has recently agreed settlements of more than $2bn in several patent cases and a class action lawsuit in Minnesota. It is continuing its legal battle with the EU to overturn an anti-trust fine of 497m euros ($613m; £331m).